UMI Touch 4G Phablet Review . UMI TOUCH 4G Phablet Review : The best alternative of Xiaomi redmi Note 3 ? 1 UMI TOUCH 4G Phablet Review : The best alternative of Xiaomi redmi Note 3 ? 1.1 UMI TOUCH Android Review -The best Alternative For Xiaomi Redmi Note 3 or LeECo Le 2 . Umi is a leading smartphone manufacturer in China and they have launched many flag ship devices in past. UMI TOUCH Android is the new smartphone in this list. UMI TOUCH is surely one of the best smartphone you can get in the market .So here we are with a review of UMi Touch. Basically we will tell you whether it is worth buying or not. UMI TOUCH Android Review -The best Alternative For Xiaomi Redmi Note 3 or LeECo Le 2 . 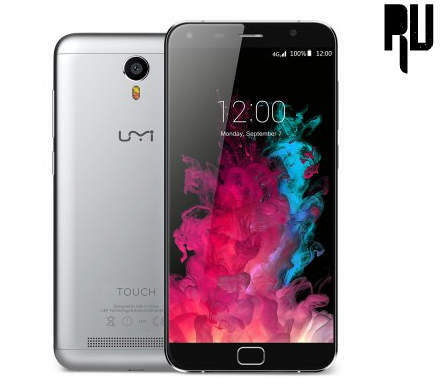 UMI TOUCH was named “the apollo project” before coming in the market all the fans were asked what kind of features they want in the UMI Touch so we can say it is a kind of “people phone”. With some good bundled features the phone also comes at a affordable cost . Namotel Achhe Din 99 rs smartphone review .. So Lets start with the review of UMI TOUCH . UMi Touch looks pretty impressive with its curvy edges and UMi has used a crispy display with vibrant colors . UMi Touch uses a metal alloy back plate and a pps material around the antenna to get better signal strength. UMi Touch comes with a center placed back camera which look very elegant with its dual flash. UMI TOUCH comes with a 5.5 Inch display 1080X1920 screen resolution and a pixel density of 441 . In the Protection segment the UMI TOUCH comes with a Corning gorilla glass 3 which will protect it from sudden falls and scratches . UMi Touch’s display performance under sunlight and we didnt saw any kind of issues like Reflection even in the Brightest conditions . UMi Touch has surely impressed in the display segment with its soft and sensitive touch. UMi Touch is packed with a Mediatek 64 bit CPU and a 1.3 Ghz Octa core processor. UMi Touch uses Mali T720 GPU for better gaming graphics .Loaded with Octa core processor UMi Touch becomes one of the heavy duty processor capable of doing multitasking without any lag. UMi Touch uses Android 6.0 marshmallow so one can expect most new apps straight in their app drawer . UMi Touch is powered with a 3 Gb RAM And a 16 Gb internal memory .After getting 3GB of RAM you dont really have to worry about any thing else. UMi Touch comes with a 13 Mp Sony IMX328 camera which can capture some cool pictures. UMi Touch also have a dual LED flash at its back. We are really impressed with UMi Touch manufacturer for adding a finger print sensor which can be opened in just 0.1s thats really fast . UMi Touch is powered with a 4000Mah like its other competitor in the market. UMi Touch battery is a Lithium-Ion Polymer battery and non removable . The battery is expected to give a on screen time of 5 hours . UMi Touch is undoubtedly a good smartphone and looks good and it has not disappointed us. So we suggest that you can go for this smartphone. So this was our review of UMi Touch Android .we hope you liked our UMi Touch 4G Phablet review.